Our Emma pasta maker is compact, practical and beautiful! It’s strong and ready to use at any any time to satisfy your family’s pasta appetite. 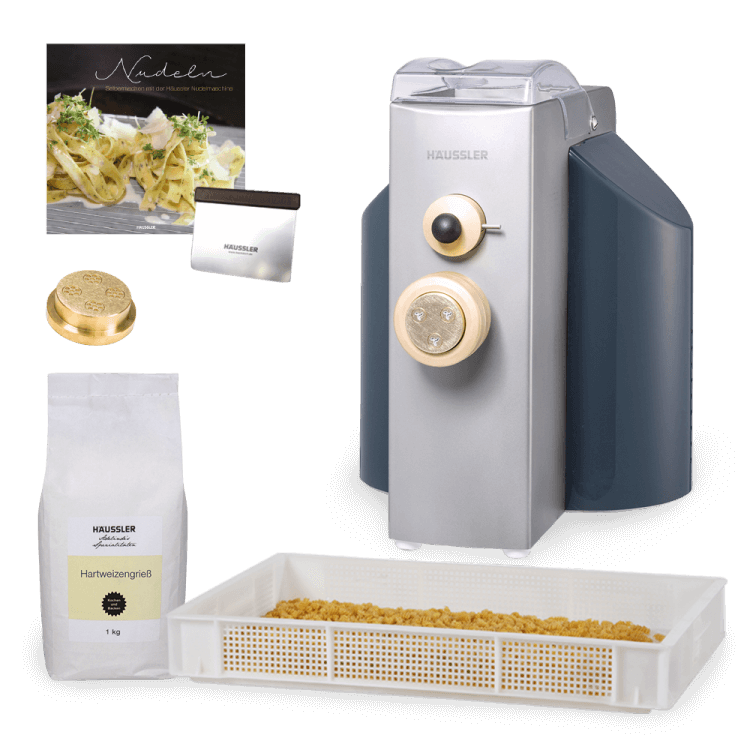 Conjure up fresh spaghetti, fettuccine or even pasta squares at the touch of a button. Emma mixes and presses the pasta efficiently and by itself: Emma makes up to 3 kg of pasta an hour. You be be delighted by the large number of pasta moulds. In addition, you will receive a standard mould of your choice.